The followers of Jesus continued to meet over a number of days after the Ascension. You get the idea of them coming and going. Doing what they need and then returning to the gathered community. A bit like a church camp.A fluid movement of people. 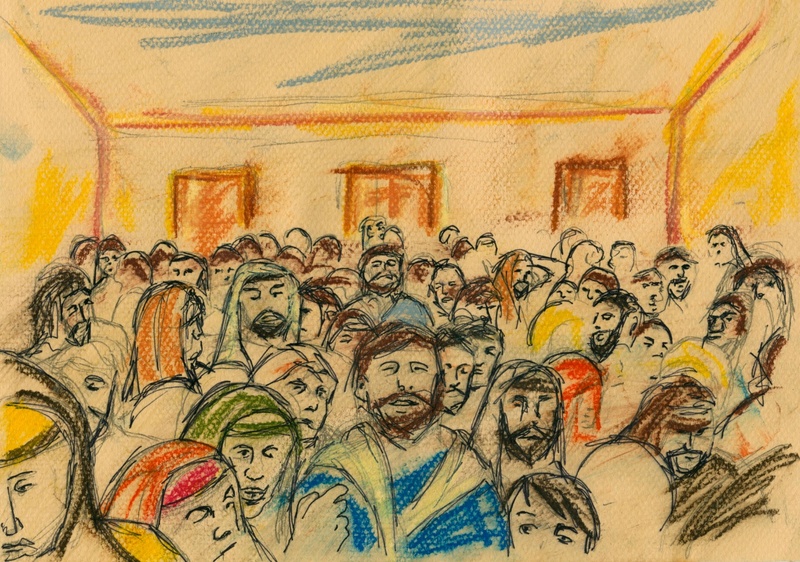 This entry was posted in Mixed Media, Pentecost, Year B and tagged Pentecost on May 26, 2012 by Mark.